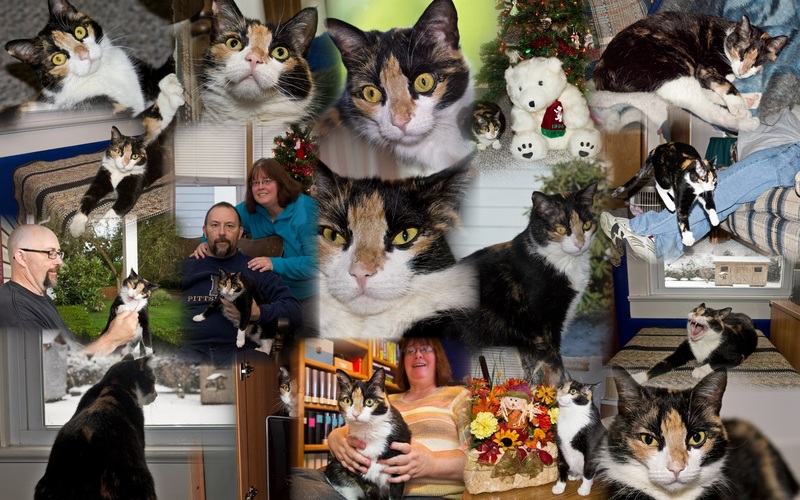 Patches became a part of our family in February 2011. She was around 6 months old at the time she joined our family. 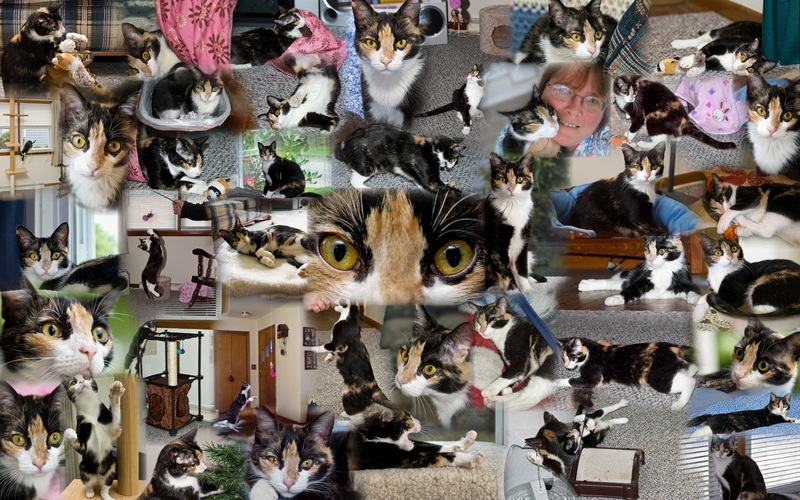 I was looking through the pictures that I have taken of Patches since February 2011. There’s a lot! Here is the latest photograph of Patches, taken yesterday (January 6). We are so very happy that Patches came into our life. That is one special kitty….. So glad you all got Patches.. He definitely brings lots of JOY into your lives. One very happy and lucky little cat to be taken into your home. She is adorable and I do love those blended collages. Super photos! I love the collages. She is a beautiful pet. Cats just add so much to our lives…sure worth a lot. Even though I could sometimes hang these, I still love them. Have you watched the Simon’s Cat videos? I swear he knows our Bubbie…the first one I ever saw was Cat Man Do and it is so much like Bubbie.